TOWNSEND, Del. 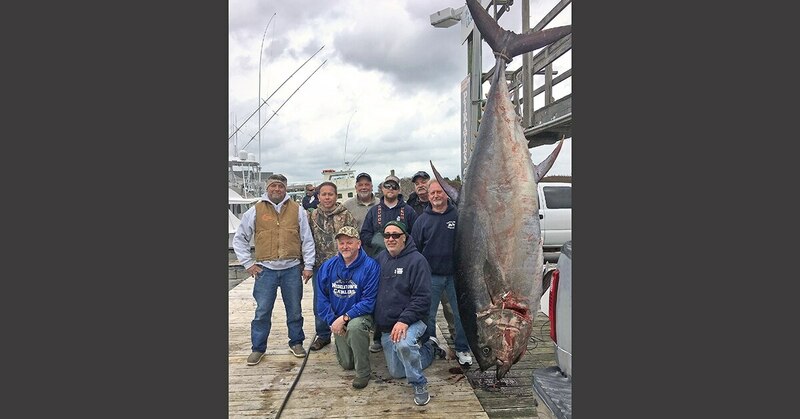 — A retired Army general from Delaware reeled in a record bluefin tuna on a recent fishing trip off the North Carolina coast. The North Carolina Department of Environmental Quality said in a news release this week that Scott Chambers of Townsend brought in the 877-pound fish on March 17 after a 2.5 hour fight off Oregon Inlet. Chambers’ fish broke the former state record bluefin tuna by 72 pounds. The gigantic fish measured 113 inches from the tip of the nose to the fork in the tail and had a girth of 79 inches. According to the news release, the world all-tackle record bluefin tuna was 1,496 pounds. It was caught off Nova Scotia in 1979.